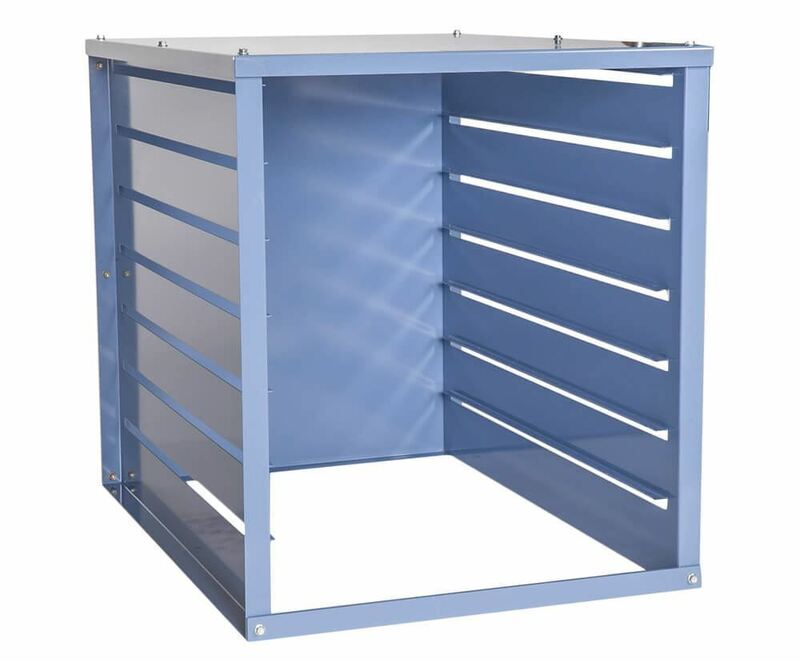 Screen Tray Storage Rack - Gilson Co.
TSA-156 Screen Tray Storage Rack stores and protects up to seven screen trays for Gilson Testing Screens and Gilson Test-Master®. 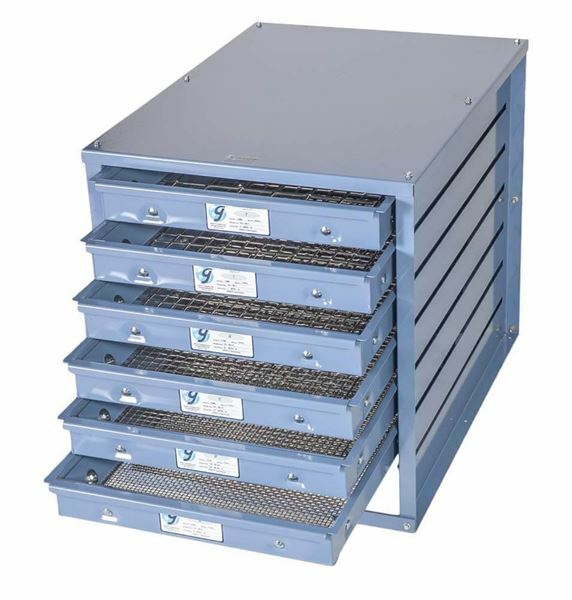 The 20.3x27.7x23.1in (516x704x587mm) WxDxH enameled steel rack protects tray flanges and wire cloth from damage and fits on top of or below most laboratory bench-tops. Sections can be bolted together for stacking. Assembly is required.